BECOME A MEMBER FOR SEASON 17! --> Get a New Membership or Renew your Membership! When a redacted and ominous letter arrives from her brother on the Alaskan oil fields, thirteen-year-old Cozbi sets off to rescue him. Armed with a book on corporate communication strategy and a sharp axe, Cozbi battles her way through an Arctic wilderness in pursuit of her missing brother. But she'll have to face more than a multi-tentacled HR rep to learn the truth. A modern holiday tradition weaving together riveting dialogue, astonishing puppetry, original song and spellbinding spectacle to tell a heartwarming, darkly moving story of magic and hope -- a fun outing fit for the whole family. A brand new live-action game from the creators of The Last Defender! A unique and exciting custom neighborhood venue is being created to house this interactive event! 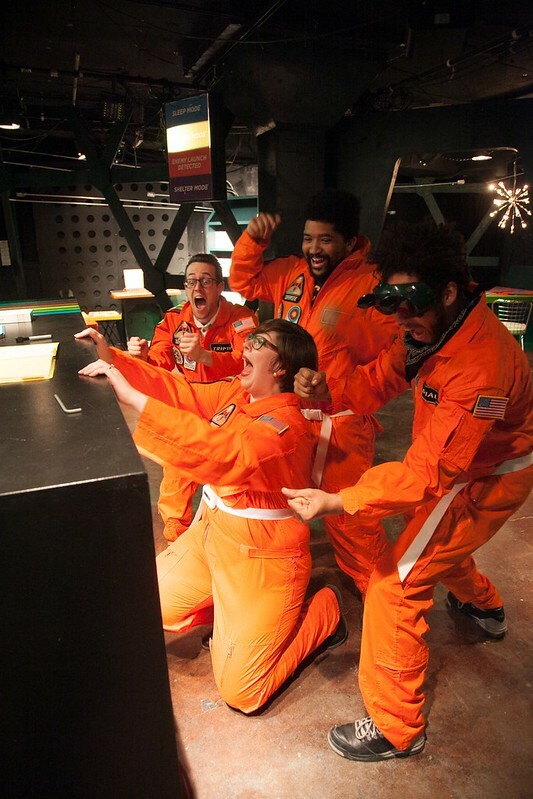 Set in the far future and at the far reaches of our solar system, audience players in Nova to Lodestar will execute a harrowing rescue mission. Players will need strong Communication and Resource Management skills as they attempt to locate, communicate with, and finally reach each other across the deadly vacuum of space. The House brings to life the classic fairy tale of a wooden boy who wishes to become real. Funny, imaginative, and moving, Pinocchio explores how the lies we tell ourselves hurt those we love. Returns in September for an open run on Friday and Saturday nights, with more performances than ever before!